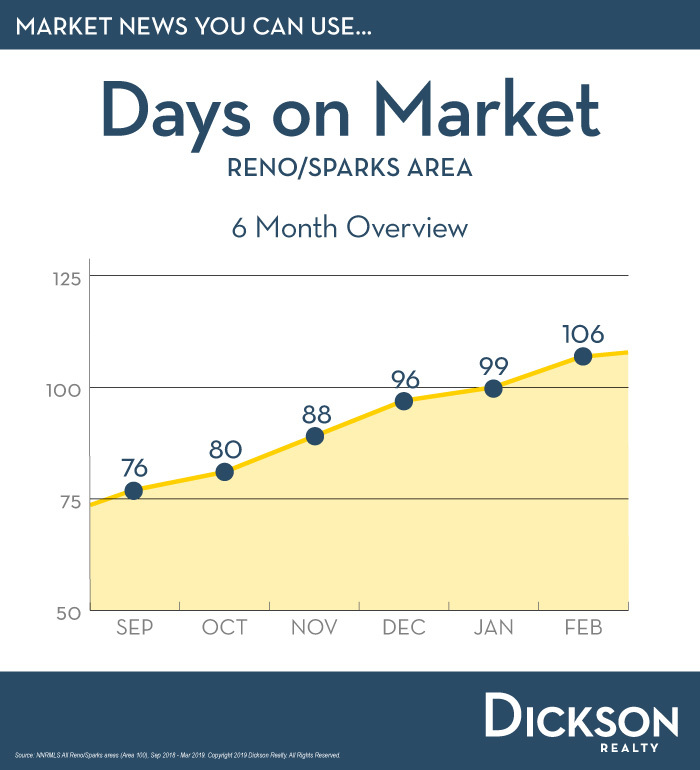 Let’s take a look at Median Price and Days on Market trends over the past 6 months for single family homes in the greater Reno-Sparks area. These statistics exclude Condo sales and focus only on single family home activity in the region. According to the Reno-Sparks Association of REALTORS, the Reno-Sparks area experienced a 2.2% decrease in median price from $357,500 in July to $349,500 in August. This price was 12.7% higher than August of last year, and 20.5%, or $59,500 higher than August, 2015. These year over year increases underscore the strong demand for housing being driven by low housing inventory and continued low mortgage rates. We anticipate the median price will continue to increase, especially in the most affordable price ranges. The Average Days on Market increased by 3.6% from 83 days in July to 86 days in August. This is the first increase in the time on market since February when the Average Days on Market was at 114 days. That means that despite the slight increase last month, homes are still selling an average of 31 days faster now than at the end of February. We expect the Days on Market to increase further, following this typical, seasonal trend as we move into fall and winter. Why is this information important to you? With fewer homes on the market and faster sell times, there is less competition for sellers of homes in many neighborhoods. For sellers in price ranges below $500,000, the constrained inventory and strong demand make this a great time for us to speak about why you might consider selling now. For buyers, mortgage rates are still relatively low, but increases in mortgage rates could come at any time. Your first steps in the buying process should include consulting me to help you get pre-qualified before you start looking at homes. Please contact me for more market statistics or information about what is happening with real estate in your neighborhood.